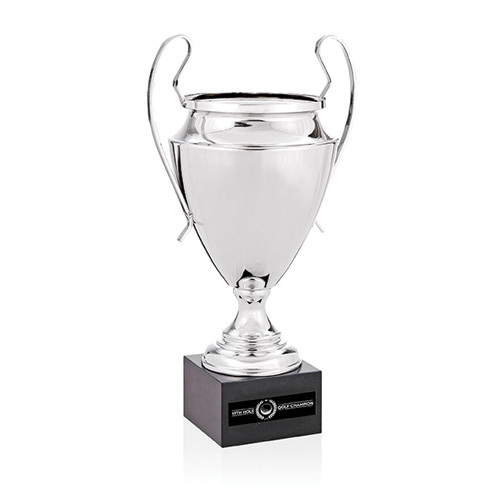 Champion Trophy This elegantly towering silver cup will surely make your #1 player feel special.Silver metal bowl with elongated matching handles. Sits on a black marble base. 9"w x 15-3/8"h x 6-1/8"dia. Bulk / 29 lbs / 4 pcs.